Everbuild Fire Sealant 400 is a nuetral cure, elastic silicone sealant which has a fire rating of up to 4 hours in certain joint configurations (when tested to BS EN 1366-4 2006). 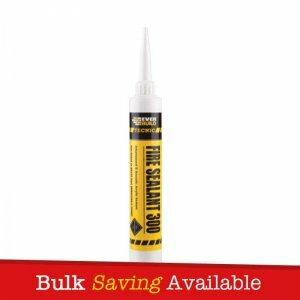 Fire Sealant 400 can be used on all building joints which require a fire rating along with fire rated expansion joints. 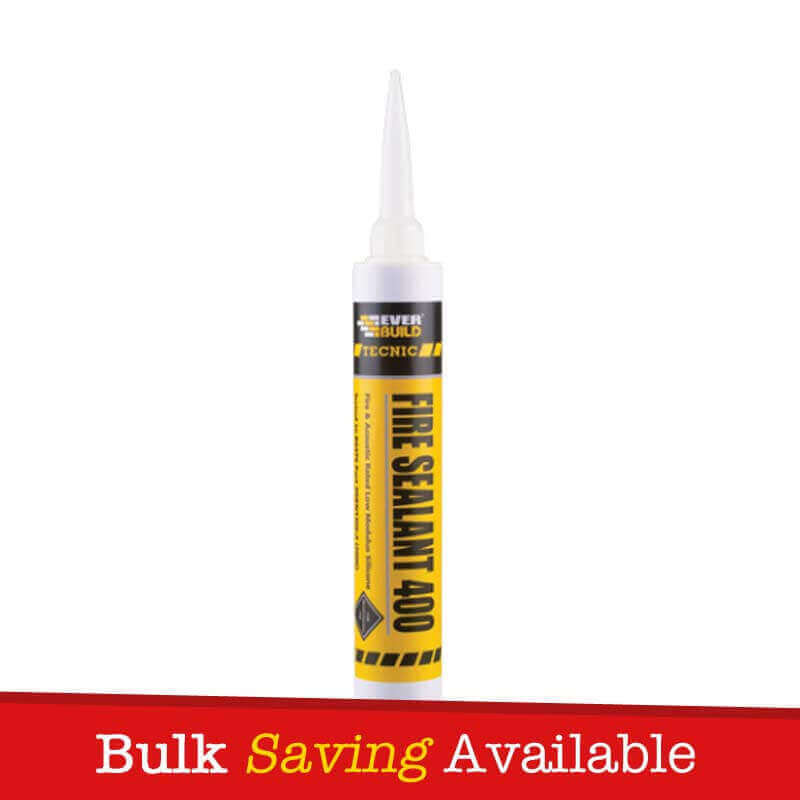 Fire Sealant 400 is permanently flexible (25% movement accommodation). – All building joints which require a fire rating. 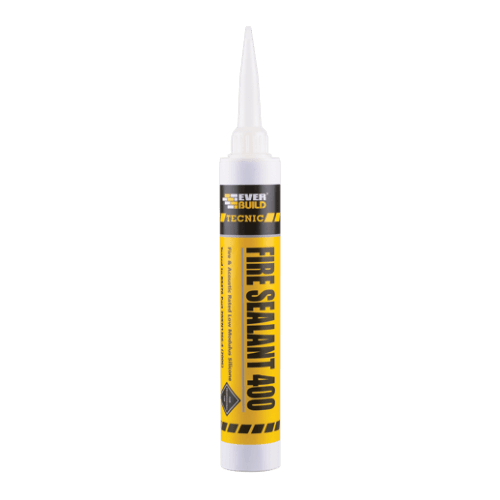 – Sealant joints, voids and irregular holes in fire walls, partitions and other substrates; also for maintaining the integrity of pipes and cables that penetrate them. 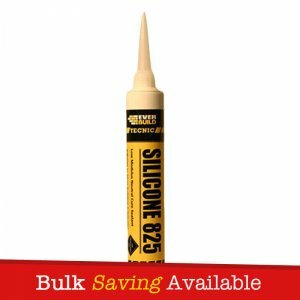 – Ideal for use for fire rated expansion joints. – Fire rated to BS EN 1366-4 2006. 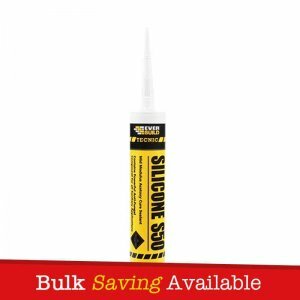 – Neutral cure – adheres to most building surfaces, porous and non porous. – Permanently flexible (25% movement accomodation). – Suitable for internal and external use. 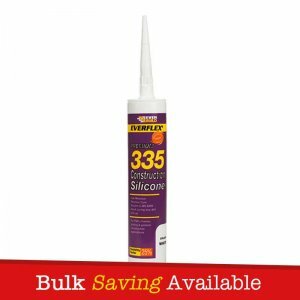 – Can be used in joints up to 50mm wide. 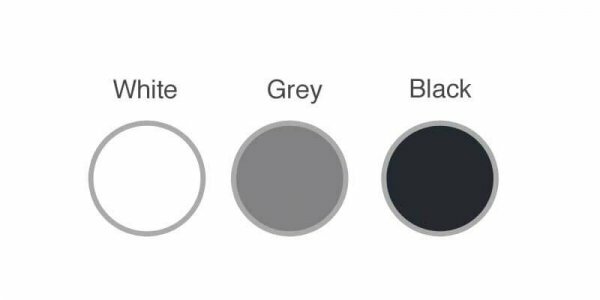 – No priming required for most construction substrates. – Non slump – Easy to apply and tool off. 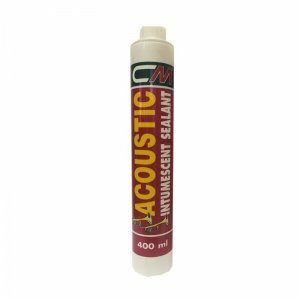 – Forms an acoustic seal.